The first musical about breast cancer, Breast In Show, written by Lisa Hayes, Lisa Hayes, directed by Kathryn Chase Bryer with music and lyrics by Joan Cushing, began two ‘preview’ performances on Friday, October 14, 2011, and has one remaining performance tonight, October 15th at 8 PM at The Jewish Community Center in Rockville, MD. Breast in Show explores the lives of five patients who build strength and create lasting friendships even though, beyond their diagnoses, they have nothing else in common. Five very different characters are diagnosed with breast cancer: Wendy is a married middle-aged lawyer without children, Chelsea is a mother of two in her late twenties, Marsha is a grandmother in her sixties, Pete is a middle-aged husband and father, and Desiree is their nurse, who is facing breast cancer for the second time. These people lead different and separate lives until their mammogram results return positive for breast cancer. They are bound to one another by illness – five people in different stages of their lives all having the same experiences, and all in a state of total disbelief. All of the characters first meet at the Chemo Café and quickly become close, sharing similar experiences about their illness. Pete explains the mocking cruelty he meets when he reveals he is a man with breast cancer and how people find it funny. The women share stories about how they do not want to lose their breasts even if it’s their doctors’ recommendation, and how doctors and friends try to console them by saying that removing a breast as inconsequential as removing a wart. The patients steadily go through chemotherapy, showing how cancer affects every aspect of their lives, work and family. Pete’s daughter is mocked in school when some students find out about him having breast cancer. Wendy her illness from her colleagues, pretending to be on vacation and remodeling her kitchen, and all of the healthy spouses in each relationship are worrying about being alone. Breast In Show is not a depressing, cynical musical about breast cancer. Kathryn Bryer and Joan Cushing accentuate the informative, funny and serious aspects with equal vigor, bringing to the stage an emotional and multi-dimensional production. The audience laughed, cheered, whooped it up, while wiping away tears. Sandy Murphy, Iyona Blake, Dan Van Why, Kate Guesman, Amy McWilliams, and Doug Wilder made up the talented cast and were accompanied by five wonderful musicians. The cast and creators received a standing ovation, and the appreciative audience continued applauding until the actors returned to the stage and took a second bow. It was an unforgettable and very moving performance. I hope that audiences around the country and around the will be able to experience Breast in Show. Breast in Show has one remaining performance tonight October 15th at 8 PM at the Jewish Community Center – 6125 Montrose Road, in Rockville, MD. Purchase tickets online or at the door. General admission is $50 and “Supporter” tickets are $99. 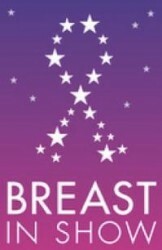 The names of supporters (including logos and web addresses) will remain on the Breast in Show website for one year. One hundred percent of the net proceeds will be donated to three non-profits, Critters for the Cure, METAvivor and The Red Devils. Read Joan Cushing’s personal reflections on composing the score and writing the lyrics for Breast in Show. View a personal message from Eileen Mitchard. 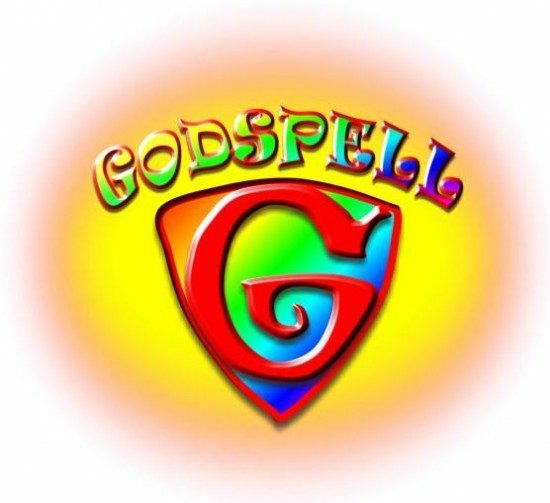 Godspell at Vagabond Players, Inc.
Mariya Danilenko is an English major at University of Maryland, College Park. Mariya grew up in Kazakhstan, France, and the U.S., and is fluent in French and Russian. A study abroad trip to London last summer ignited her love for theatre, and this eventually brought her to MD Theatre Guide. 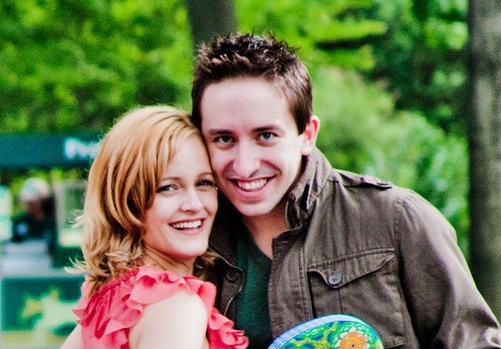 She currently lives in Rockville, Maryland, and is entering her third year of college.